Download "DELEGATION AGREEMENT. U.S. Office of Personnel Management and Department of Health and Human Services"
3 Attachment A STATEMENT OF RESPONSIBILITIES FOR PROVISIONS AVAILABLE UNDER 5 U.S.C The following Department of Health and Human Services (HHS) and U.S. Office of Personnel (OPM) responsibilities apply to the overall program for delegated health-care personnel authorities under 5 U.S.C and 38 U.S.C. chapter 74 and must be adhered to accordingly; each delegated provision references additional HHS and OPM responsibilities. In implementing any of these provisions, the intent of title 38 should be taken into consideration. Each provision s relationship to other provisions, such as retirement and the Fair Labor Standards Act, must be adhered to accordingly. I. HHS Responsibilities for the Overall Program A. Develop appropriate written policies and procedures, apply them fairly and consistently, and assure they meet the following requirements: o o o Maintain quality staffing levels among facilities; Abide by statutory requirements including merit system principles; and Avoid unwarranted competition with other agencies using these authorities. B. Issue written regulations and/or guidelines and consult with employee organizations, as appropriate. C. Take such action as OPM may require to correct any action(s) contrary to law, regulations, or this delegation agreement. D. Participate and cooperate in the activities of the Interagency Committee on Health Care Occupations and attend any required Committee meetings. Discuss major pay authorities for which consensus must be reached prior to implementation as specified in the agreement under the specific provisions. E. Share policy information and pay survey data with other agencies using these authorities. Minimize the burden on the non-federal sector by sharing survey information with other Federal health-care employers and preventing duplicative pay surveys. Upon request, provide OPM with reports and data from surveys of non-federal employers. F. To the extent that authorities are redelegated within HHS, assure that all provisions of this agreement are met by the designees to which the authorities are delegated. 4 G. Maintain auditable program records. Provide OPM with information and access to records upon request. H. Maintain an internal review program to monitor use of these provisions. Provide OPM with program information and access to records upon request. I. 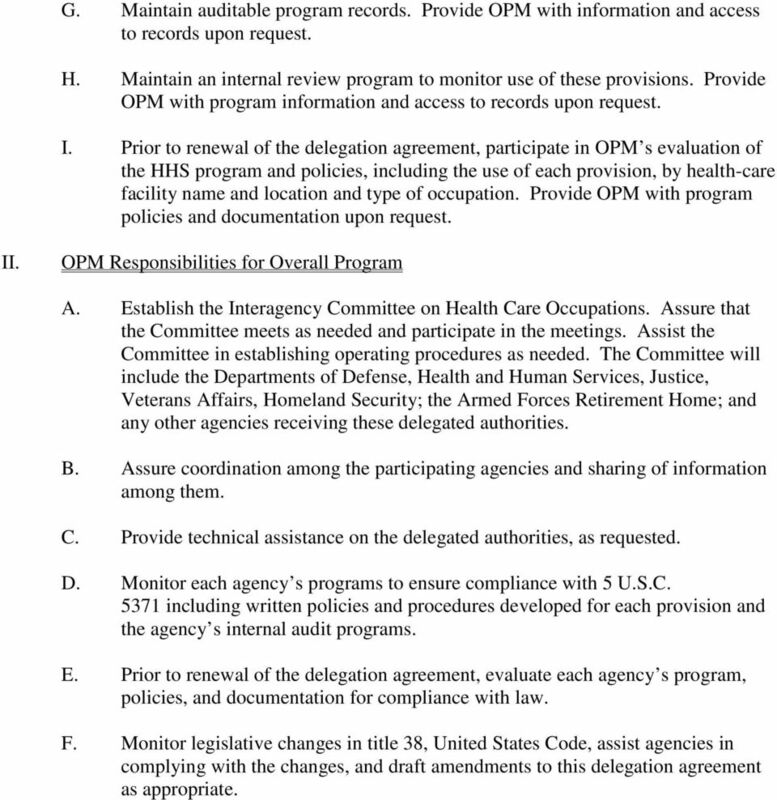 Prior to renewal of the delegation agreement, participate in OPM s evaluation of the HHS program and policies, including the use of each provision, by health-care facility name and location and type of occupation. Provide OPM with program policies and documentation upon request. II. OPM Responsibilities for Overall Program A. Establish the Interagency Committee on Health Care Occupations. Assure that the Committee meets as needed and participate in the meetings. Assist the Committee in establishing operating procedures as needed. The Committee will include the Departments of Defense, Health and Human Services, Justice, Veterans Affairs, Homeland Security; the Armed Forces Retirement Home; and any other agencies receiving these delegated authorities. B. Assure coordination among the participating agencies and sharing of information among them. C. Provide technical assistance on the delegated authorities, as requested. D. Monitor each agency s programs to ensure compliance with 5 U.S.C including written policies and procedures developed for each provision and the agency s internal audit programs. E. Prior to renewal of the delegation agreement, evaluate each agency s program, policies, and documentation for compliance with law. F. Monitor legislative changes in title 38, United States Code, assist agencies in complying with the changes, and draft amendments to this delegation agreement as appropriate. 5 Attachment B STATEMENT OF DELEGATIONS FOR PROVISIONS AVAILABLE UNDER 5 U.S.C The U.S. Office of Personnel Management (OPM) delegates to the Department of Health and Human Services (HHS) the following title 38 provisions as provided in 5 U.S.C. 5371: Special Salary Rate Authority (a)(1), (a)(2)(a) and (B), (b), (c), and (d) Baylor Plan and Alternate Work Schedules and 7456A Premium Pay , 7454, and 7457(a) and (b) Authority to Establish Qualifications (a), (b), (d), and (f) Qualification-based Grading System (a), (b)(4), (c), (e) and (f)(1) Head Nurse Pay and Nurse Executive Special Pay (a)(2) and (g) Hours of Employment (a) Pay for Physicians and Dentists (a), (b), (c), (d)(1)-(5), (e)(2)-(4), (f) and (h); 7432; and 7433(a) Nurse Locality Pay System (a), (b), (c), (d), (e), and (g) Special Incentive Pay for Pharmacist Executives (b). Each delegated provision references the title 38 citation, occupations covered, and HHS and OPM responsibilities. 6 I. Special Salary Rate Authority Citation: 38 U.S.C. 7455(a)(1), (a)(2)(a) and (B), (b), (c), and (d) Increases in rates of basic pay. 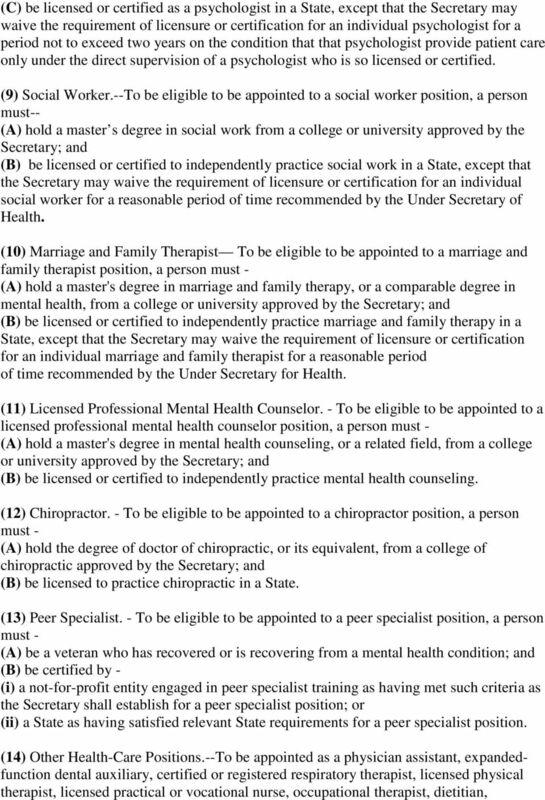 (a)(1) Subject to subsections (b), (c), and (d), when the Secretary determines it to be necessary in order to obtain or retain the services of persons described in paragraph (2), the Secretary may increase the minimum, intermediate, or maximum rates of basic pay authorized under applicable statutes and regulations. Any increase in such rates of basic pay (A) may be made on a nationwide basis, local basis, or other geographic basis; and (B) may be made (i) for one or more of the grades listed in the schedules in subsection (b)(1) of section 7404 of this title; (ii) for one or more of the health personnel fields within such grades; or (iii) for one or more of the grades of the General Schedule under section 5332 of title 5. (2) Paragraph (1) applies to the following: (A) Individuals employed in positions listed in paragraphs (1) and (3) of section 7401 of this title. 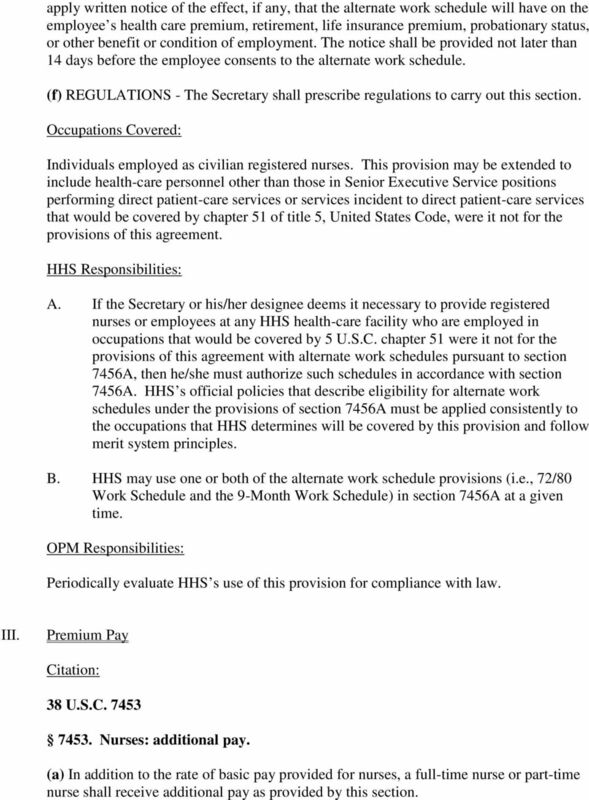 (B) Health-care personnel who (i) are employed in the Administration (other than administrative, clerical, and physical plant maintenance and protective services employees); (ii) are paid under the General Schedule pursuant to section 5332 of title 5; (iii) are determined by the Secretary to be providing either direct patient-care services or services incident to direct patient-care services; and (iv) would not otherwise be available to provide medical care and treatment for veterans. 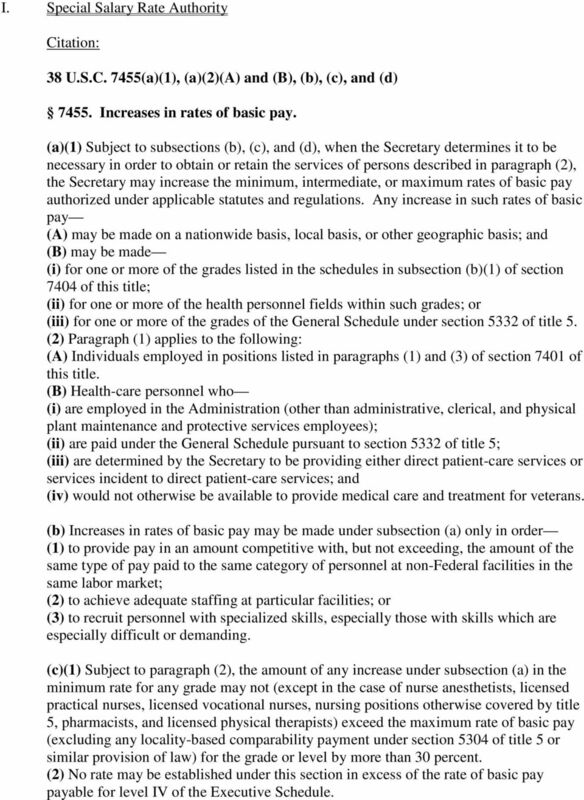 (b) Increases in rates of basic pay may be made under subsection (a) only in order (1) to provide pay in an amount competitive with, but not exceeding, the amount of the same type of pay paid to the same category of personnel at non-federal facilities in the same labor market; (2) to achieve adequate staffing at particular facilities; or (3) to recruit personnel with specialized skills, especially those with skills which are especially difficult or demanding. 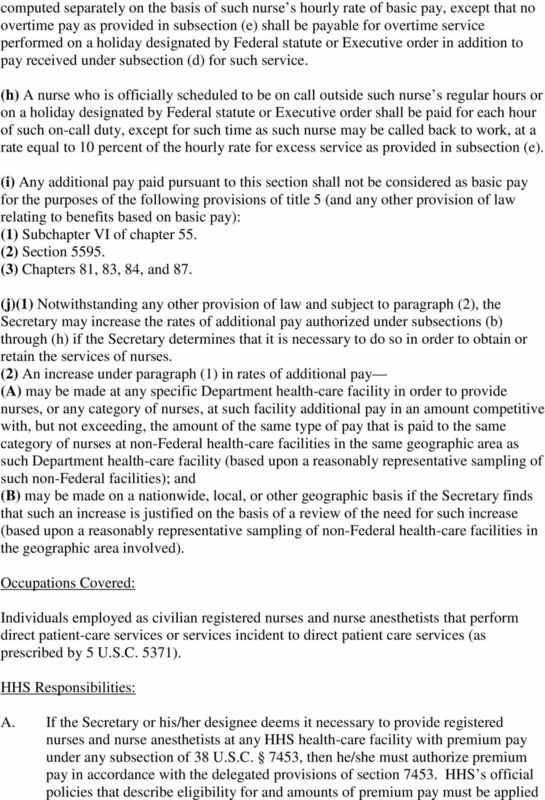 (c)(1) Subject to paragraph (2), the amount of any increase under subsection (a) in the minimum rate for any grade may not (except in the case of nurse anesthetists, licensed practical nurses, licensed vocational nurses, nursing positions otherwise covered by title 5, pharmacists, and licensed physical therapists) exceed the maximum rate of basic pay (excluding any locality-based comparability payment under section 5304 of title 5 or similar provision of law) for the grade or level by more than 30 percent. (2) No rate may be established under this section in excess of the rate of basic pay payable for level IV of the Executive Schedule. 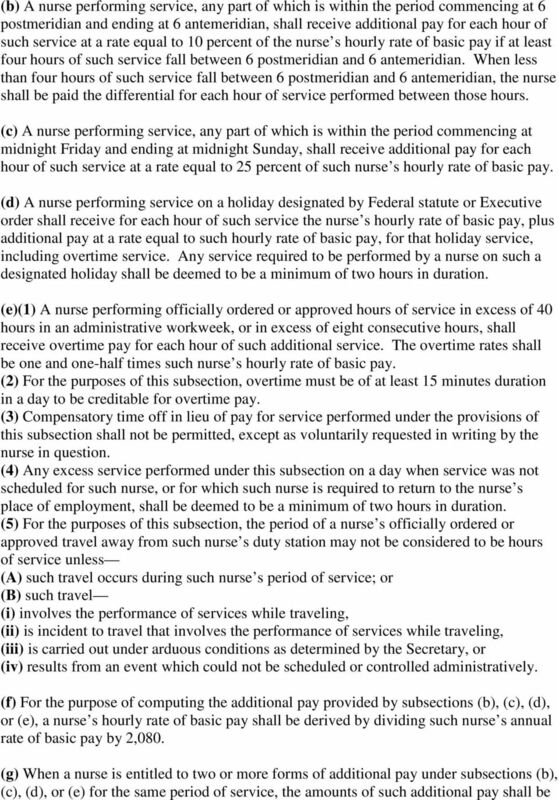 7 (d)(1) In the exercise of the authority provided in subsection (a) with respect to personnel described in subparagraph (B)...of paragraph (2) of that subsection to increase the rates of basic pay for any category of personnel not appointed under subchapter I, the Secretary shall, not less than 45 days before the effective date of a proposed increase, notify the President of the Secretary s intention to provide such an increase. (2) Such a proposed increase shall not take effect if, before the effective date of the proposed increase, the President disapproves such increase and provides the appropriate committees of the Congress with a written statement of the President s reasons for such disapproval. (3) If, before that effective date, the President approves such increase, the Secretary may advance the effective date to any date not earlier than the date of the President s approval. Occupations Covered: Individuals employed in the following positions performing direct patient care services and services incident to direct patient care services (as prescribed by 5 U.S.C. 5371): Positions covered by 38 U.S.C. 7401(1)--physicians, dentists, podiatrists, chiropractors, optometrists, registered nurses (and nurse anesthetists), physician assistants, and expanded-function dental auxiliaries Positions covered by 38 U.S.C. 7401(3)-- audiologists, speech pathologists, and audiologist-speech pathologists, biomedical engineers, certified or registered respiratory therapists, dietitians, licensed physical therapists, licensed practical or vocational nurses, nurse assistants, medical instrument technicians, medical records administrators or specialists, medical records technicians, medical and dental technologists, dental hygienists, dental assistants, nuclear medicine technologists, occupational therapists, occupational therapy assistants, kinesiotherapists, orthotist-prosthetists, pharmacists, pharmacy technicians, physical therapy assistants, prosthetic representatives, psychologists, diagnostic radiologic technicians, therapeutic radiologic technicians, social workers, marriage and family therapists, licensed professional mental health counselors, blind rehabilitation specialists, blind rehabilitation outpatient specialists, and such other classes of health care occupations as the Secretary considers necessary for the recruitment and retention needs of the Department subject to the requirements in 38 U.S.C. 7401(3)(A). Individuals employed in positions that meet the criteria specified in 38 U.S.C. 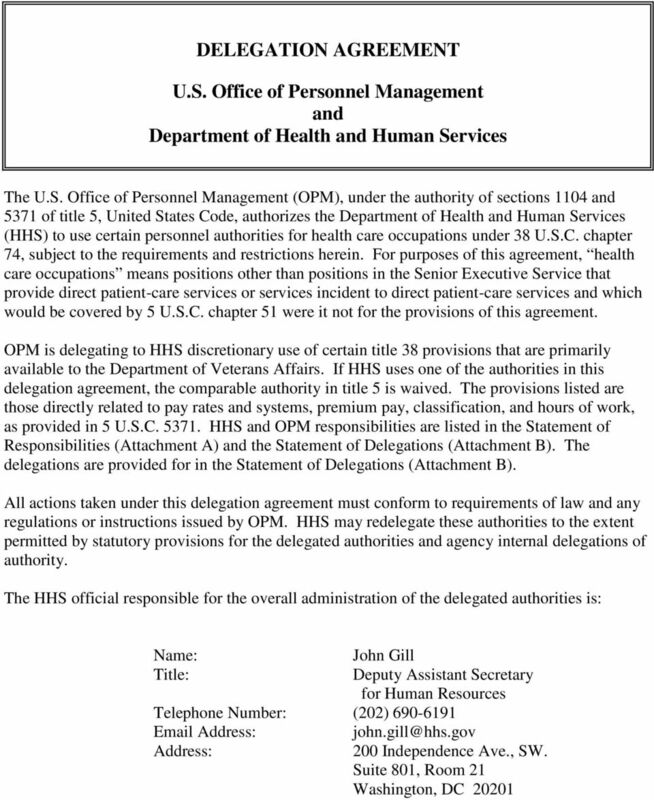 7455(a)(2)(B)--health-care personnel who are employed in the Administration (other than administrative, clerical, and physical plant maintenance and protective services employees) who would be paid under the General Schedule pursuant to section 5332 of title 5 were it not for the provisions of this agreement, and are determined by the Secretary to be providing either direct patient-care services or services incident to direct patient-care services, and would not otherwise be available to provide medical care and treatment for veterans. 10 who performs service in excess of such nurse s regularly scheduled two 12-hour tours of duty may be paid overtime pay under section 7453(e) of this title, or other applicable law, for all or part of the hours of officially ordered or approved service performed by such nurse in excess of 40 hours during an administrative workweek. (c) The Secretary shall prescribe regulations for the implementation of this section. Occupations Covered: Individuals employed as civilian registered nurses and nurse anesthetists. 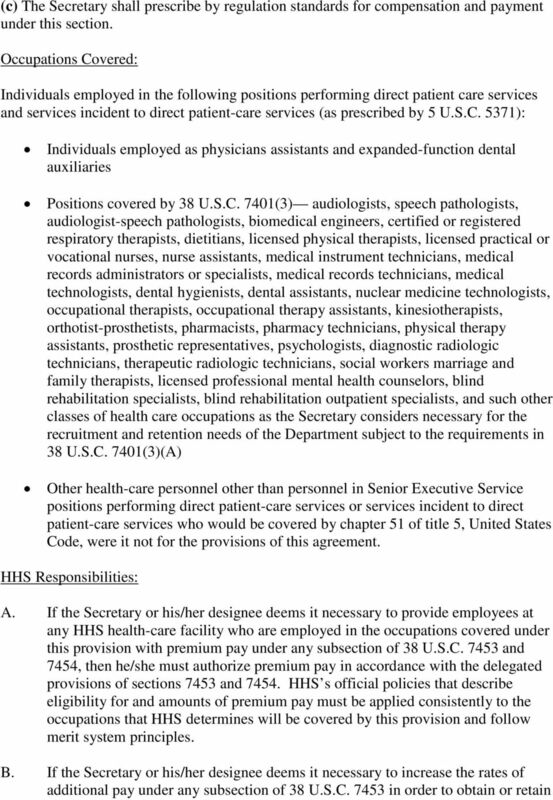 This provision may be extended to include health-care personnel other than those in Senior Executive Service positions performing direct patient-care services or services incident to direct patient-care services that would be covered by chapter 51 of title 5, United States Code, were it not for the provisions of this agreement. 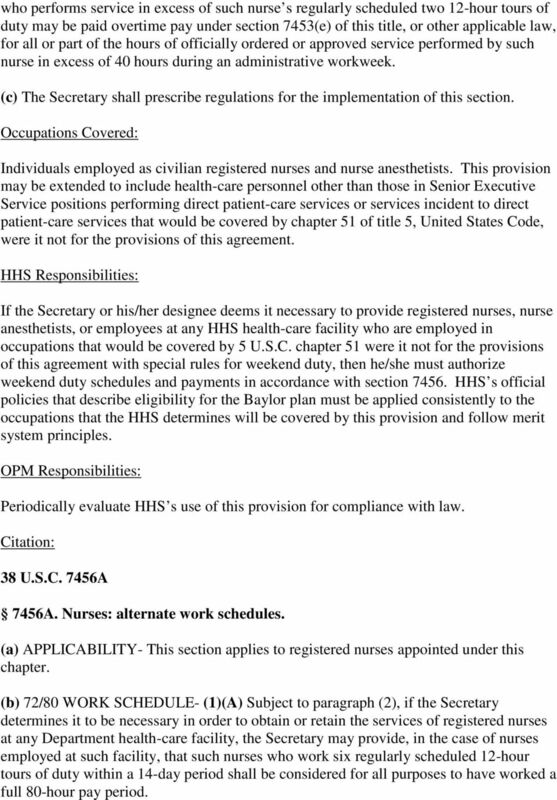 HHS Responsibilities: If the Secretary or his/her designee deems it necessary to provide registered nurses, nurse anesthetists, or employees at any HHS health-care facility who are employed in occupations that would be covered by 5 U.S.C. 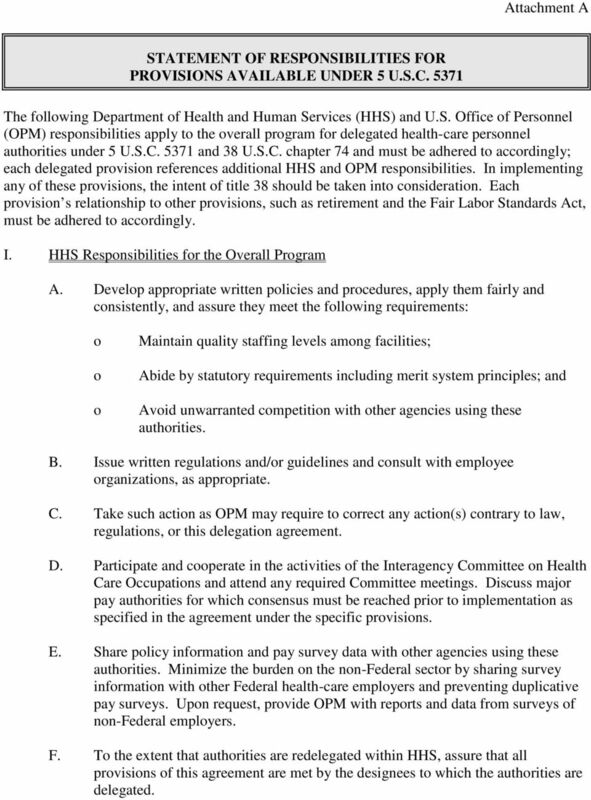 chapter 51 were it not for the provisions of this agreement with special rules for weekend duty, then he/she must authorize weekend duty schedules and payments in accordance with section HHS s official policies that describe eligibility for the Baylor plan must be applied consistently to the occupations that the HHS determines will be covered by this provision and follow merit system principles. 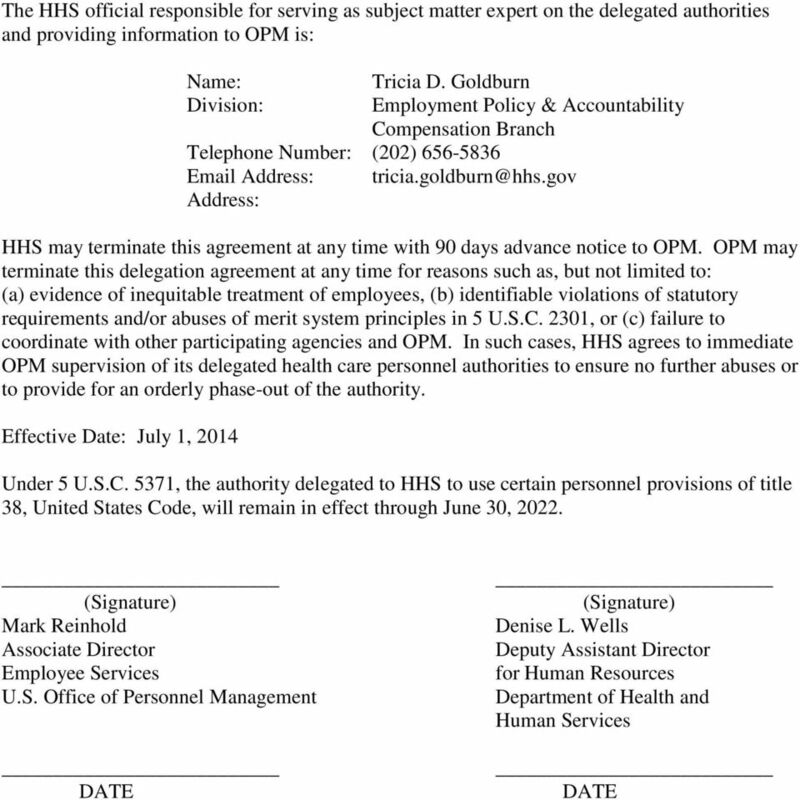 OPM Responsibilities: Periodically evaluate HHS s use of this provision for compliance with law. Citation: 38 U.S.C. 7456A 7456A. Nurses: alternate work schedules. 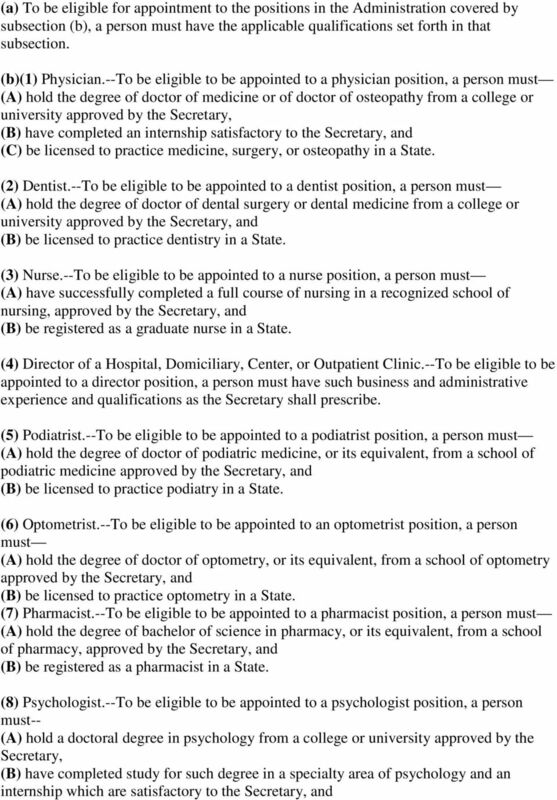 (a) APPLICABILITY- This section applies to registered nurses appointed under this chapter. 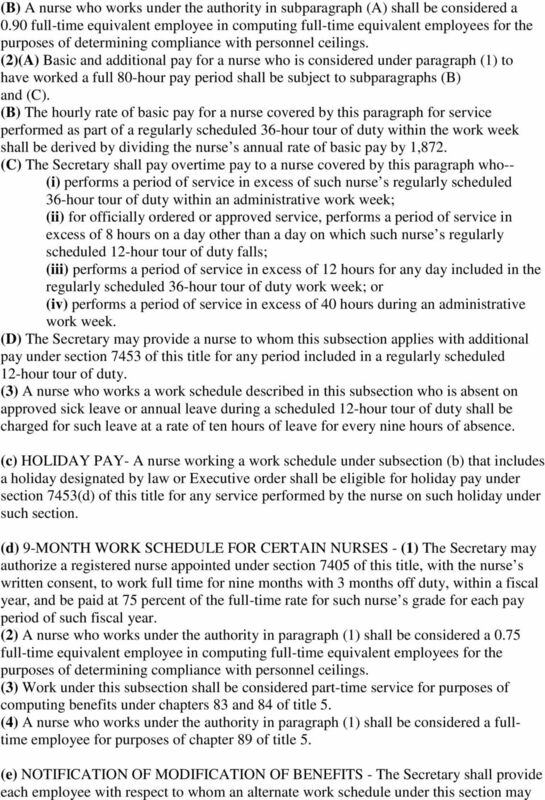 (b) 72/80 WORK SCHEDULE- (1)(A) Subject to paragraph (2), if the Secretary determines it to be necessary in order to obtain or retain the services of registered nurses at any Department health-care facility, the Secretary may provide, in the case of nurses employed at such facility, that such nurses who work six regularly scheduled 12-hour tours of duty within a 14-day period shall be considered for all purposes to have worked a full 80-hour pay period. 12 apply written notice of the effect, if any, that the alternate work schedule will have on the employee s health care premium, retirement, life insurance premium, probationary status, or other benefit or condition of employment. The notice shall be provided not later than 14 days before the employee consents to the alternate work schedule. (f) REGULATIONS - The Secretary shall prescribe regulations to carry out this section. Occupations Covered: Individuals employed as civilian registered nurses. 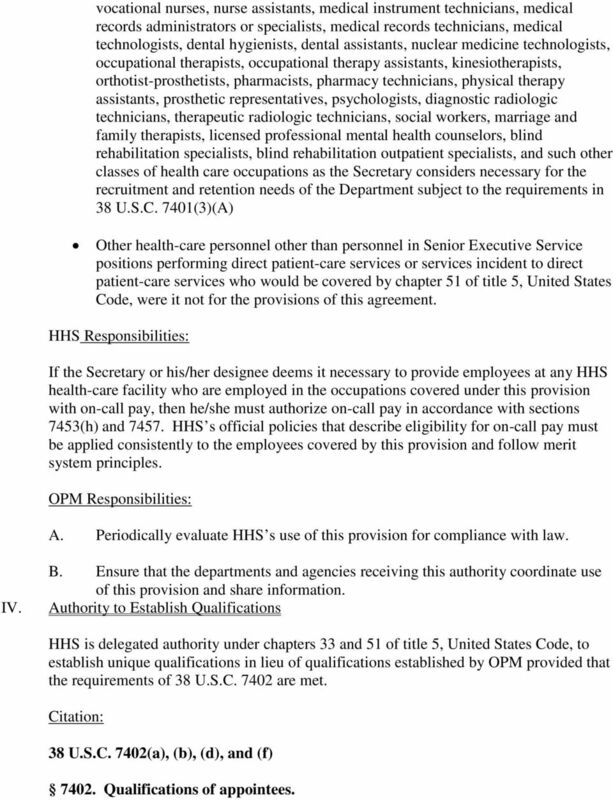 This provision may be extended to include health-care personnel other than those in Senior Executive Service positions performing direct patient-care services or services incident to direct patient-care services that would be covered by chapter 51 of title 5, United States Code, were it not for the provisions of this agreement. HHS Responsibilities: A. If the Secretary or his/her designee deems it necessary to provide registered nurses or employees at any HHS health-care facility who are employed in occupations that would be covered by 5 U.S.C. chapter 51 were it not for the provisions of this agreement with alternate work schedules pursuant to section 7456A, then he/she must authorize such schedules in accordance with section 7456A. HHS s official policies that describe eligibility for alternate work schedules under the provisions of section 7456A must be applied consistently to the occupations that HHS determines will be covered by this provision and follow merit system principles. B. HHS may use one or both of the alternate work schedule provisions (i.e., 72/80 Work Schedule and the 9-Month Work Schedule) in section 7456A at a given time. 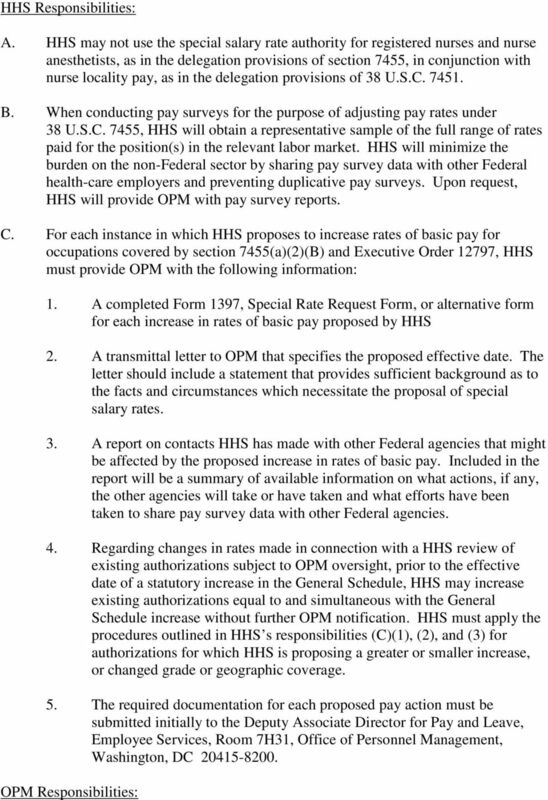 OPM Responsibilities: Periodically evaluate HHS s use of this provision for compliance with law. III. 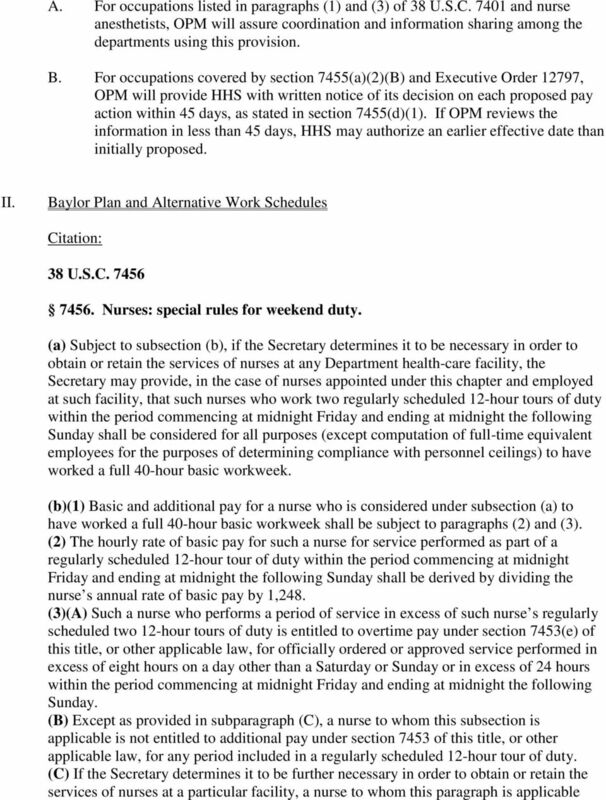 Premium Pay Citation: 38 U.S.C Nurses: additional pay. (a) In addition to the rate of basic pay provided for nurses, a full-time nurse or part-time nurse shall receive additional pay as provided by this section. 15 consistently to the occupations that HHS determines will be covered by this provision and follow merit system principles. B. If the Secretary or his/her designee deems it necessary to increase the rates of additional pay, as in 38 U.S.C. 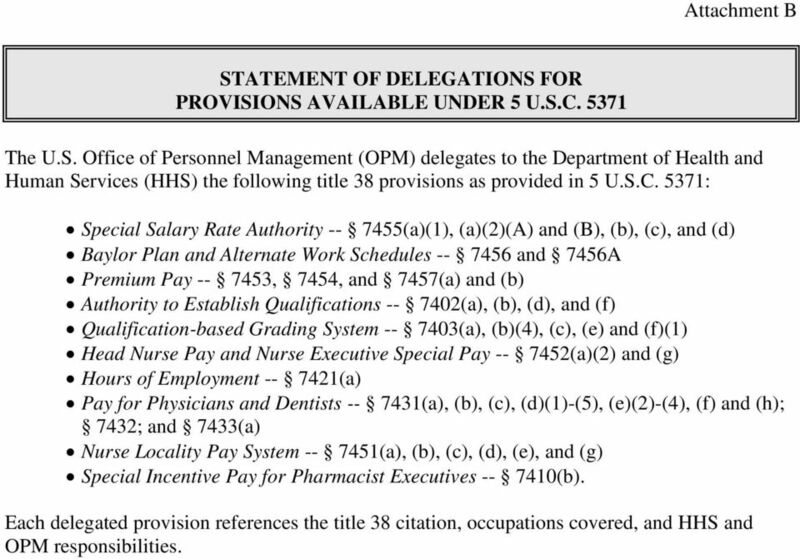 7453(j), in order to obtain or retain the services of nurses, then he/she must authorize increases in premium pay in accordance with 7453(b) through (h). The Secretary must make the decision that an increase is justified on the basis of a review of the need for such increase, i.e., based upon a reasonably representative sampling of non-federal health-care facilities in the geographic area involved. HHS s official policies that describe eligibility for and amounts of increases in premium pay must be applied consistently to the employees covered by this provision and follow merit system principles. 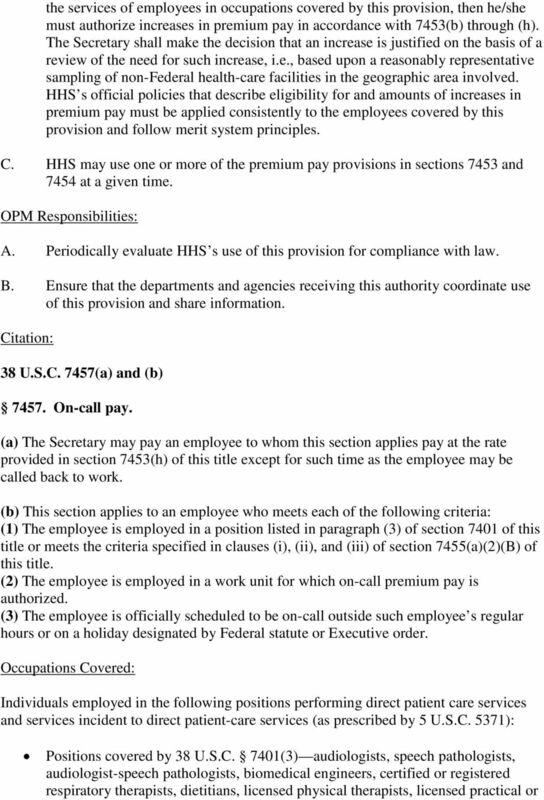 C. HHS may use one or more of the premium pay provisions in section 7453 at a given time. OPM Responsibilities: A. Periodically evaluate HHS s use of this provision for compliance with law. B. Ensure that the departments and agencies receiving this authority coordinate use of this provision and share information. Citation: 38 U.S.C Physician assistants and other health care professionals: additional pay. 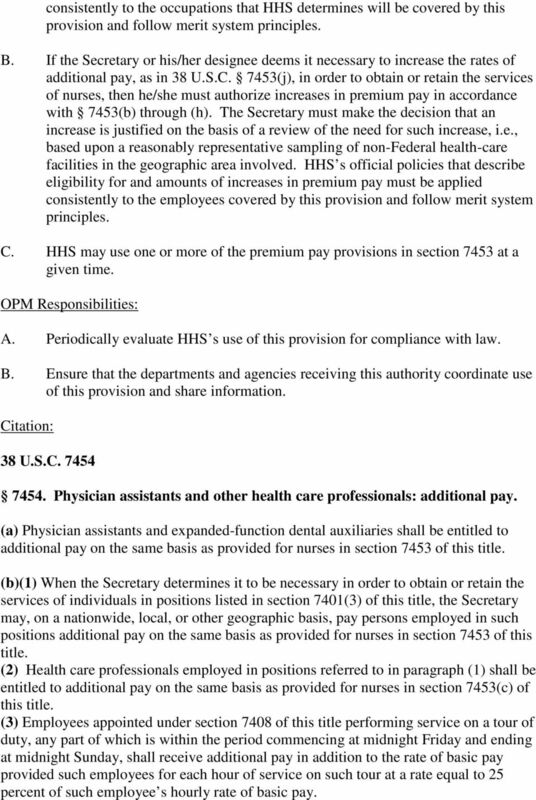 (a) Physician assistants and expanded-function dental auxiliaries shall be entitled to additional pay on the same basis as provided for nurses in section 7453 of this title. (b)(1) When the Secretary determines it to be necessary in order to obtain or retain the services of individuals in positions listed in section 7401(3) of this title, the Secretary may, on a nationwide, local, or other geographic basis, pay persons employed in such positions additional pay on the same basis as provided for nurses in section 7453 of this title. (2) Health care professionals employed in positions referred to in paragraph (1) shall be entitled to additional pay on the same basis as provided for nurses in section 7453(c) of this title. (3) Employees appointed under section 7408 of this title performing service on a tour of duty, any part of which is within the period commencing at midnight Friday and ending at midnight Sunday, shall receive additional pay in addition to the rate of basic pay provided such employees for each hour of service on such tour at a rate equal to 25 percent of such employee s hourly rate of basic pay. 18 vocational nurses, nurse assistants, medical instrument technicians, medical records administrators or specialists, medical records technicians, medical technologists, dental hygienists, dental assistants, nuclear medicine technologists, occupational therapists, occupational therapy assistants, kinesiotherapists, orthotist-prosthetists, pharmacists, pharmacy technicians, physical therapy assistants, prosthetic representatives, psychologists, diagnostic radiologic technicians, therapeutic radiologic technicians, social workers, marriage and family therapists, licensed professional mental health counselors, blind rehabilitation specialists, blind rehabilitation outpatient specialists, and such other classes of health care occupations as the Secretary considers necessary for the recruitment and retention needs of the Department subject to the requirements in 38 U.S.C. 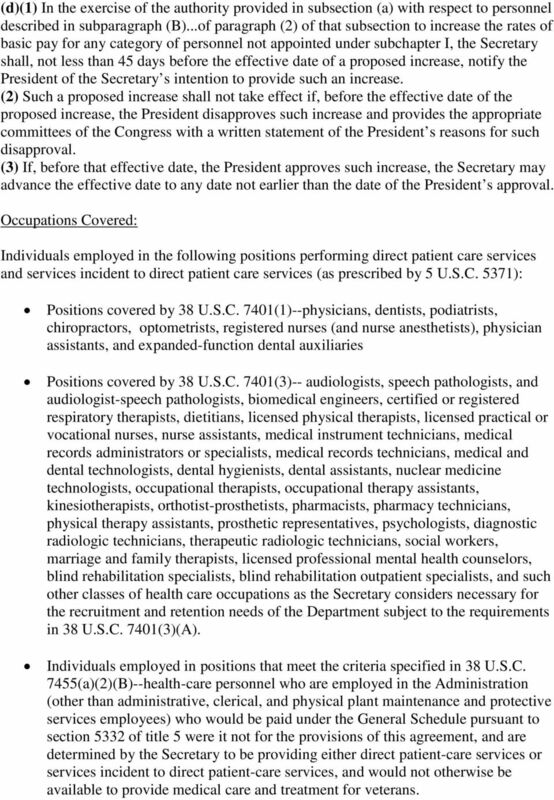 7401(3)(A) Other health-care personnel other than personnel in Senior Executive Service positions performing direct patient-care services or services incident to direct patient-care services who would be covered by chapter 51 of title 5, United States Code, were it not for the provisions of this agreement. HHS Responsibilities: If the Secretary or his/her designee deems it necessary to provide employees at any HHS health-care facility who are employed in the occupations covered under this provision with on-call pay, then he/she must authorize on-call pay in accordance with sections 7453(h) and HHS s official policies that describe eligibility for on-call pay must be applied consistently to the employees covered by this provision and follow merit system principles. OPM Responsibilities: A. Periodically evaluate HHS s use of this provision for compliance with law. IV. B. Ensure that the departments and agencies receiving this authority coordinate use of this provision and share information. Authority to Establish Qualifications HHS is delegated authority under chapters 33 and 51 of title 5, United States Code, to establish unique qualifications in lieu of qualifications established by OPM provided that the requirements of 38 U.S.C are met. Citation: 38 U.S.C. 7402(a), (b), (d), and (f) Qualifications of appointees. 21 microbiologist, chemist, biostatistician, medical technologist, dental technologist, or other position, a person must have such medical, dental, scientific, or technical qualifications as the Secretary shall prescribe. (d) A person may not be appointed under section 7401(1) of this title to serve in the Administration in any direct patient-care capacity unless the Under Secretary for Health determines that the person possesses such basic proficiency in spoken and written English as will permit such degree of communication with patients and other health-care personnel as will enable the person to carry out the person s health-care responsibilities satisfactorily. Any determination by the Under Secretary for Health under this subsection shall be in accordance with regulations which the Secretary shall prescribe. (f) A person may not be employed in a position under subsection (b) (other than under paragraph (4) of that subsection) if - (1) the person is or has been licensed, registered, or certified (as applicable to such position) in more than one State; and (2) either - (A) any of those States has terminated such license, registration, or certification for cause; or (B) the person has voluntarily relinquished such license, registration, or certification in any of those States after being notified in writing by that State of potential termination for cause. Occupations Covered: Individuals providing direct patient-care services or services incident to direct patientcare services (as prescribed by 5 U.S.C. 5371) employed as physicians, dentists, registered nurses (and nurse anesthetists), directors of a hospital, domiciliary, center, or outpatient clinic, podiatrists, optometrists, pharmacists, psychologists, social workers, marriage and family therapists, licensed professional mental health counselors, chiropractors, peer specialists, physician assistants, expanded-function dental auxiliaries, certified or registered respiratory therapists, licensed physical therapists, licensed practical or vocational nurses, occupational therapists, dietitians, microbiologists, chemists, biostatisticians, medical technologist, dental technologist, or other position for which a person must have such medical, dental, scientific, or technical qualifications as prescribed by the Secretary. HHS Responsibilities: A. HHS may use 38 U.S.C only in conjunction with a qualification-based grading system as outlined in 38 U.S.C B. Unique qualifications may be implemented for an occupation once the departments of the Interagency Committee for Health Care Occupations have reached consensus on a department s plan. Department of Health and Human Services (HHS) Instruction 590-1, Title 38 Physician and Dentist Pay (PDP), dated November 7, 2011. 3701-17-07.1 Required training and competency evaluation for nurse aides working in long-term care facilities. 0 0 LEGISLATURE 0 0 AN ACT to repeal. () (r).,. () (a) and (b),. () (d),. () (f),. (),. (),. (),. (),. () (c),. () (a), (b) and (c) and.0 (title); to renumber and amend.0 (m),. () (c),. () (e),. (),. (),.,. STAFFING. 1. REASON FOR ISSUE: To revise Department of Veterans Affairs (VA) procedures related to staffing. CHAPTER 43 - PERFORMANCE APPRAISAL SUBCHAPTER I - GENERAL PROVISIONS 4301. Definitions. 4302. Establishment of performance appraisal systems. (4302a. Repealed.) 4303. Actions based on unacceptable performance. GENERAL ASSEMBLY OF NORTH CAROLINA SESSION 1999 SESSION LAW 1999-199 HOUSE BILL 714 AN ACT TO PROVIDE FOR DIRECT PAYMENT OF CERTIFIED SUBSTANCE ABUSE PROFESSIONALS UNDER HEALTH INSURANCE POLICIES AND PLANS. CHAPTER 74 AN ACT concerning drug abuse, revising various parts of the statutory law, and supplementing P.L.2007, c.244. BE IT ENACTED by the Senate and General Assembly of the State of New Jersey: 1.